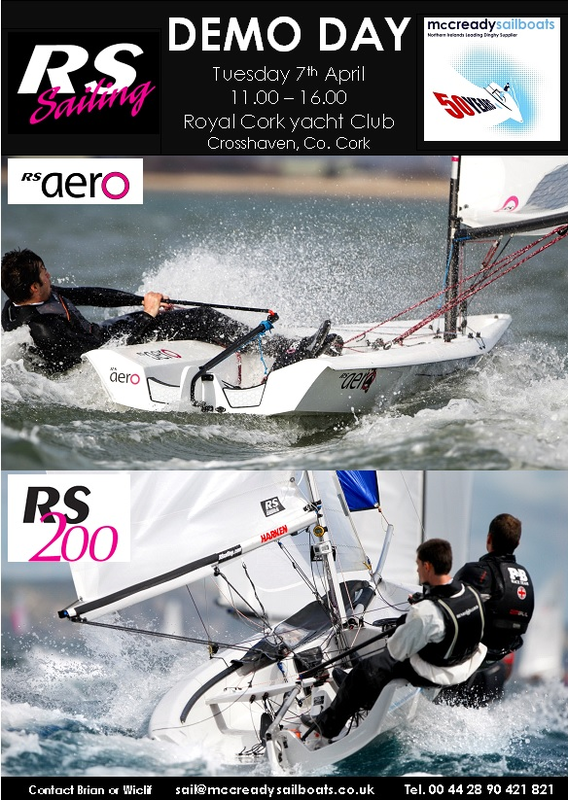 McCready Sailboats will host a “Demo Day” in the Royal Cork on Tuesday 7th April. There will be two RS Aero’s with all three sizes of rigs available (5,7 & 9) and there will also be an RS200 on site. There will be special offers on the day for those attending and Brian Spence will be available in the Club from Wednesday 8th to Friday 10th April during the ISA Youth Nationals.